I have seen a fun trend transcend from the laid back Cali kids to now the east coast trendsetters and in between. Macrame bracelets with delicate details. 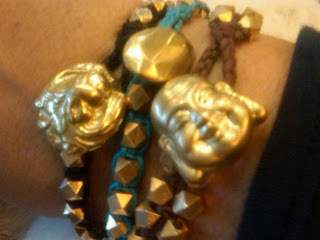 Braided bracelets with charms are all the rage and stacking and layering is highly recommended. 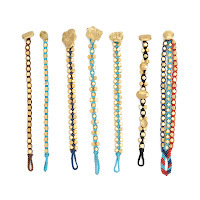 Beading and charms make these bracelets a must have. I love these from friend and designer, Erica Klein. I caught up with the designer to learn more about this unique collection that is just one element of the jewelry line she has. If you know Erica, she will often have an arm full of her unique bracelets that may represent an idea, inspiration or fond memory but what is always true is that they always just make sense together. "All of the Beads are handmade and gold filled. Closures are caste in solid brass and hand finished. They are all unique to me. 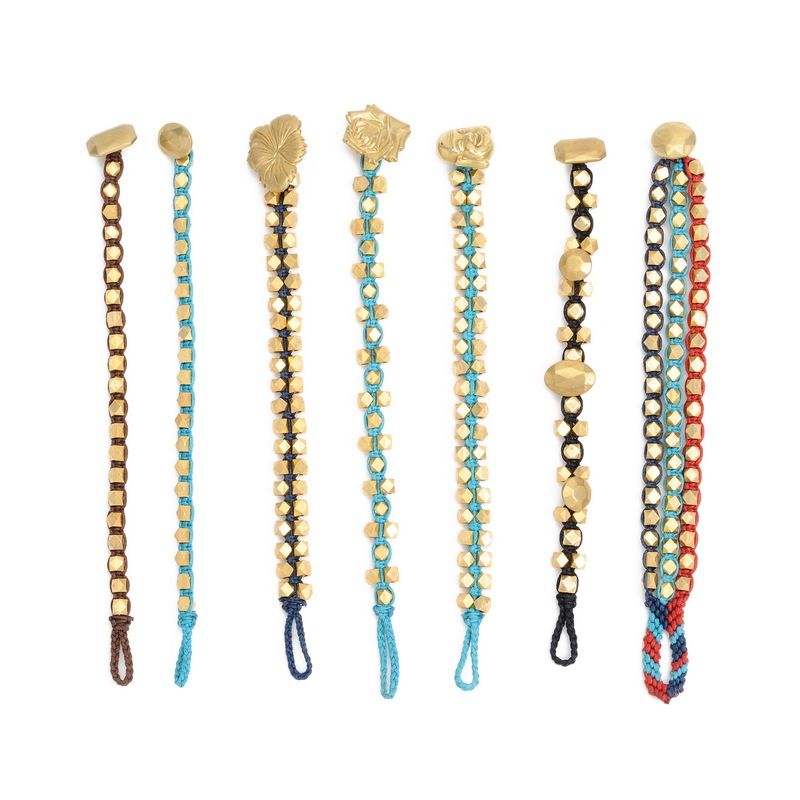 Each bracelet is hand knotted on waxed cotton cord. They are great by themselves and better in stacks. I have a thing for bracelets. I always wear an entire arm full. Each one that I wear has it's own story; a fond memory attached to it. Either of someone or someplace I have been. I find that alot times people will purchase a couple at a time and usually give one as a gift to a close friend. they have become my version of a friendship bracelet. On occasion I have even taken them off my own wrist and put them onto a close friends. I think that makes them even more special...."
Contact Erica about these bracelets on her site HERE for purchasing.